Browse: Home / 2014 / October / Sci-Fi This Week: Meet The Flash! Sci-Fi This Week: Meet The Flash! If you thought September was fun, just wait for the October premiere! 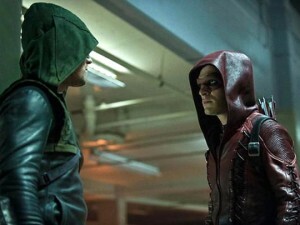 This week Arrow returns for its third season, one day after spin-off The Flash makes its big series premiere. We’re ready for The CW’s new DC Comics one-two punch. 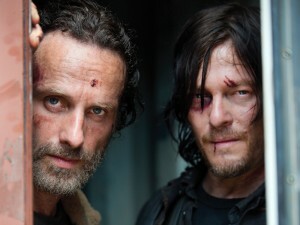 This week also have new episodes of Gotham, S.H.I.E.L.D., Doctor Who, and more … and if you can make it to Sunday it’s the sure-to-be-epic fifth season premiere of The Walking Dead. How will Rick and company escape the ruthless residents of Terminus? 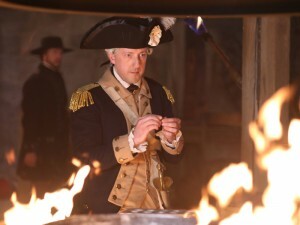 And will the show continue to smash cable ratings records this season? “The Balloonman.” Detectives Gordon and Bullock track down a vigilante who is killing corrupt Gotham citizens by attaching them to weather balloons. 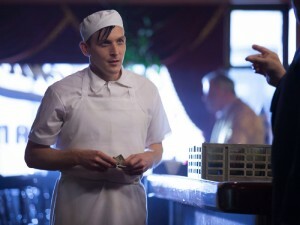 Meanwhile, Oswald Cobblepot returns to Gotham and gets a new job close to an influential figure in the underworld. “Root of All Evil.” After a bank robbery turns violent, Abbie and Ichabod embark on a hunt for a mysterious silver coin that has more power than meets the eye. Meanwhile, Captain Frank Irving is put in a position where he must choose between his family and the greater good and the Mills’ sisterly bond is put to the utmost test. 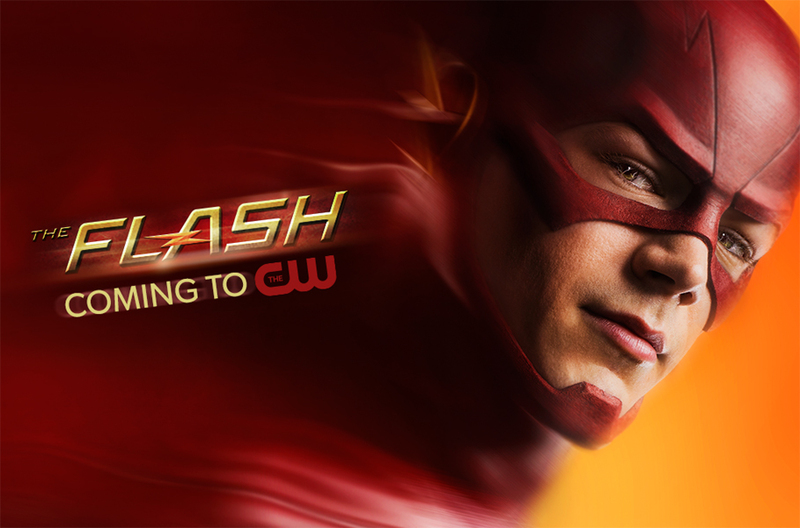 The CW, 8/7c – SERIES PREMIERE! 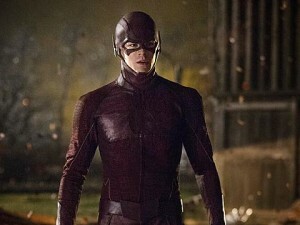 “Pilot.” Attempting to uncover the truth about his mother’s murder, Barry Allen has an encounter with a particle accelerator and, after awakening from a nine-month coma, discovers that he has become the fastest man alive. “Making Friends and Influencing People.” Coulson and his team race against Hydra to get to Donnie Gill — a dangerous gifted with the ability to freeze objects — while Simmons is caught in the crossfire. “The Calm.” With crime in Starling City at an all-time low thanks to the Arrow and his team, Oliver thinks he can finally balance being both the Arrow and Oliver Queen. However, when a new villain emerges, who has claimed the name Vertigo from the recently deceased Count, Oliver is caught off-guard. Oliver fights to regain his company, Queen Consolidated, but comes up against a very worthy opponent – the charming Ray Palmer. “The Old Switcheroo, Part 1.” While Vince and Dave head to North Carolina to investigate Dave’s past, a body switching Trouble hits Haven. “Mummy On the Orient Express.” The Doctor and Clara are on the most beautiful train in history speeding among the stars of the future. But a deadly creature is stalking the passengers. 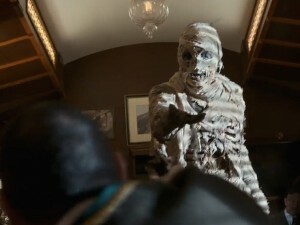 Once you see the horrifying Mummy you only have 66 seconds to live. 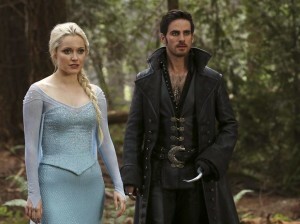 “Rocky Road.” When an icy spell is cast on Marian, the Storybrooke residents place the blame on Elsa. Regina teams up with Henry to try and discover who the author of the fairy tale book is, and Hook begins to suspect that Mr. Gold is still in control of the dagger that calls upon him to be the Dark One. Meanwhile, in Arendelle of the past, Elsa and Kristoff set off to stop Hans from attempting to take control of the kingdom. 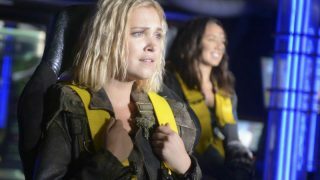 “Multiple.” Sensing a need in the community, Tom creates a new parish specifically for the returned and Bellamy decides to confide in him that he is also one of them. Meanwhile, old human bones mysteriously turn up in the river and with them, implications for the Langston family that Margaret is determined to keep hidden. “No Sanctuary.” Rick and the group find themselves in a vulnerable situation in the Season Five opener, with the people of Terminus holding them hostage with an uncertain agenda.